Anjea is a fertility spirit. People's souls reside within her between their incarnations. I like the analogy with the cruising experience and the idea of being reincarnated at each port of call — it really is how I often feel. 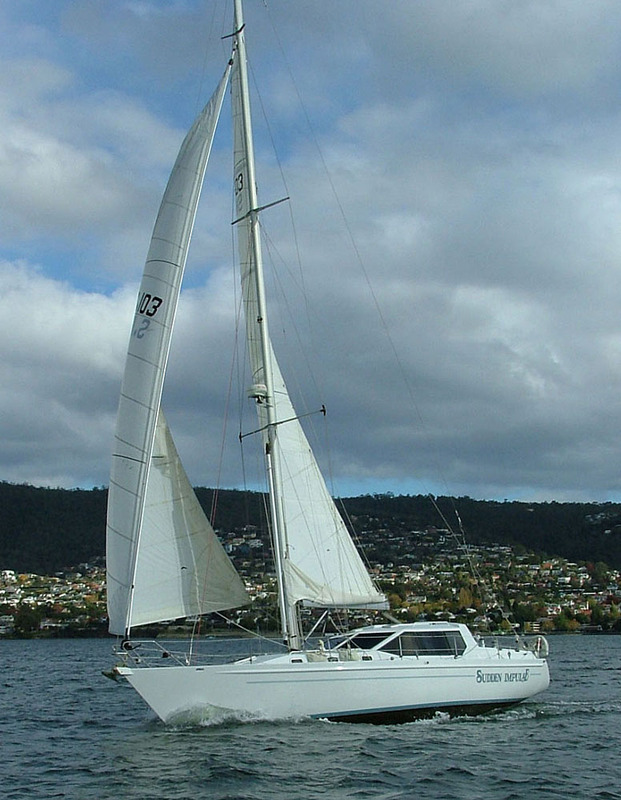 Anjea the yacht is a 41' (12.4m) aluminium sloop designed by Van de Stadt and built in 1997 by Greg Brown of Aluminium and Steel Boats (now Harwood Marine) in the Clarence River, NSW, Australia. She was previously known as Sudden Impulse. Anjea is a Van de Stadt 'Norman', design number 424. She is made of aluminium. Her most distinctive feature is the saloon, where you can stay out of the weather and still control the boat.